Despite the early lethargic offense from the big club, the View of the Reds Farm from the Old Recliner looks exciting for the 2019 season. All four full-season teams begin their respective season on Thursday. The turmoil from the final week of spring training passed in the rear-view mirror as the rejuvenated Reds organization mashed the accelerator leaving the Arizona desert. I hope everyone has channeled even a fraction of my enthusiasm for the Reds Organization in general and the Reds Farm System in particular. With a new Baseball Operations Organization in place and new on-field management in place, all systems are GO! The present looks promising and the future looks even more promising. It’s time to play the game between the white lines and see which players step forward toward their goal and which players stumble on that slippery development slope. The Reds lost Matt Wisler when they designated him for assignment (DFA) and executed a trade with the Padres for Diomar Lopez. The Reds also traded Jordan Patterson to the Blue Jays. Those represented the only organizational losses since the Reds were able to retain Anthony Bass as a minor league free agent and Brandon Finnegan as an unclaimed DFA waiver. 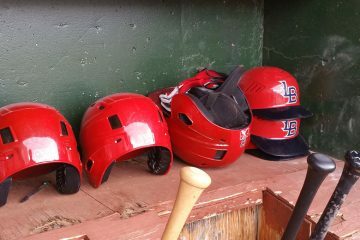 The Reds also picked up Jose Lopez off waivers from the Giants for his second tour of duty with the Reds organization. With the minor league season pending, the Reds finalized the minor league rosters this week. With no games or statistics available, the View of the Reds Farm from the Old Recliner will peruse each affiliate’s roster as a lead in to the season. 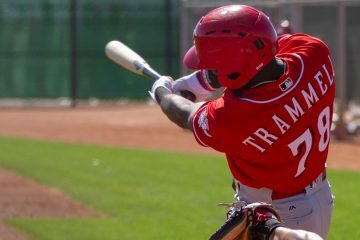 This week we’ll focus on the top Reds pitching prospects per MLB.com (MLB), along with a few other particularly interesting players. The Louisville Bats roster includes 11 players on the 40-man roster, leaving only 1 player from the 40-man roster not on the 25-man major league roster, the 10-day major league Injured List or the AAA roster. That represents a refreshing change from prior seasons when career minor league players and major league rejects filled the AAA roster. The 23-year-old, right-handed starting pitcher makes the leap to AAA this season after competing above his age in High A and AA. The 25-year-old, right-handed starting pitcher takes his second crack at AAA this season after a successful brief stint at the end of the 2018 season. The 25-year-old, right-handed relief pitcher returns to AAA after moderate success in the 2017 and 2018 seasons. The 32-year-old, right-handed, veteran pitcher signed a minor league contract with the Reds during the off season. Manager Jody Davis tabbed Despaigne as the opening day starting pitcher for the Louisville Bats. The Chattanooga Lookouts should be loaded for bear and putting the Southern League on notice. The next wave of pitching prospects and hitting prospects are poised to make strong statements this season. The 22-year-old, right-handed starting pitcher returns to AA after success in just 11 games played AA in 2018. 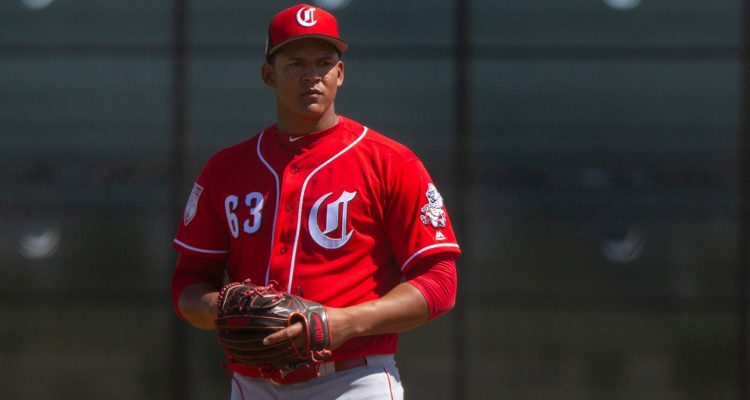 The 24-year-old, left-handed starting pitcher continues his march through the Reds minor league system with a promotion to AA after successful seasons at High Rookie, Low A and High A affiliates. The 24-year-old, right-handed relief pitcher joins Moss with a promotion to AA after an identical march through the Reds minor league system. The 24-year-old, right-handed relief pitcher received a promotion to AA after repeating a season in High A during 2018. The Daytona Tortugas continue to push through prospects to the upper minor league affiliates and receive the next wave of prospects. The loss of Hunter Greene to Tommy John (TJ) surgery represents a huge blow to the Tortugas and the Reds organization, but Green is young and committed to success. We all hope for the very best and look forward to Greene’s return in 2020. After spending the off season successfully rehabbing from a partial tear of his UCL, the 19-year-old superior starting pitcher prospect tore his UCL again and will undergo Tommy John surgery, effectively shelving his 2019 season. the 23-year-old, left-handed starting pitcher prospect will take on High A hitters in 2019 after successive stops in High Rookie and Low A affiiates the past two seasons. The Dayton Dragons received a large infusion of talent from the rookie league affiliates. Unfortunately, promotions from rookie league competition can be unreliable. Dayton’s season hinges on those prospects fulfilling their untapped potential. Maybe my ‘Rose’ colored glasses distort my vision, but the Reds upper minor league affiliates should have tremendous seasons with some exceptional talent. I can’t wait for the games to begin later today. Cody Reed and Sal Romano are in the bullpen in AAA correct? It looks that way. The Bats starting pitching rotation to begin the season is: Despaigne, Sims, Mella, Gutierrez & Lopez. I’m completely on board with Romano to the bullpen, but I really think Reed has a chance to be effective as a starting pitcher and provide more value as a starting pitcher. with that said, the bullpen and starting rotation will experience a major overhaul for the 2020 season. Romano and Reed could provide a solid, long-term foundation for the bullpen going forward. How is that rotation in Louisville going to go? Despaigne, Gutierrez, Sims, Lopez, and who? Mella or Stephens?? That shows commitment to Romano and Reed in the bullpen. However, I’d like to keep Reed starting for 1 more season. That roster in Chattanooga looks solid. First half champs. looking forward to see what Trammell, Siri, and Friedl do as a group in AA. Gotta be pretty strong defensive OF and a dynamic trio offensively. The future for the Reds OF certainly resides in Chattanooga this season. Pat Kelly has his OF trio hitting 1-3 in the lineup. Last night in the Lookout opener, the trio performed as I expect them to generally perform. All 3 OF can play CF and provide solid defense. With all 3 playing at the same level at AA, we will be able to compare apples to apples this season. Siri concerns me the most with is high SO rate (30% in 409 PA last season) but he provides the most power (.210 ISO) and best defense.